FINAL SALE. 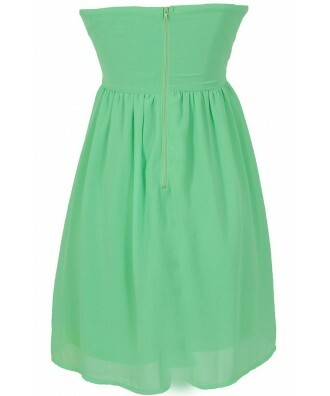 This electric bright green dress will look great against your summer tan. The Samantha Black Crochet Applique Strapless Dress is fully lined and made of chiffon. 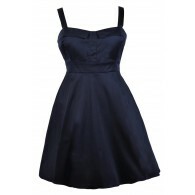 It has a strapless neckline, empire waist, and a flowy skirt. Black crochet lace appliques decorate the bust of this dress, adding contrast. A zipper in the back completes this pretty dress. The Samantha Black Crochet Applique Strapless Dress would look great paired with black pumps or heels and a clutch. Details: Fully lined. Back zipper. 60% silk, 40% polyester. Lining: 100% polyester. Hand wash cold water separately. Color will bleed. No bleach. Hang to dry. Small measurements: Length from top of bust to hemline: 28”. Bust: 34”. You have added Samantha Black Crochet Applique Strapless Dress in Bright Green into Wishlist. You have added Samantha Black Crochet Applique Strapless Dress in Bright Green for Stock Notification. You have set Samantha Black Crochet Applique Strapless Dress in Bright Green as a loved product. 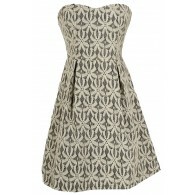 You have removed Samantha Black Crochet Applique Strapless Dress in Bright Green as a loved product.